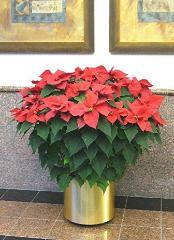 "Poinsettias - what sizes are there?" 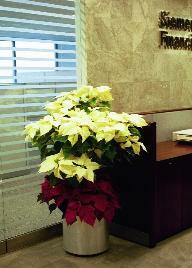 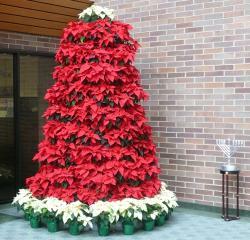 2 - 12" in 16"
11' Poinsettia Tree with 72 - 7.5"
around the base and 1 White on Top. 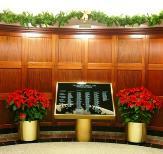 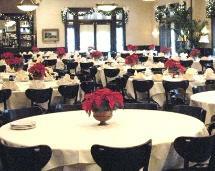 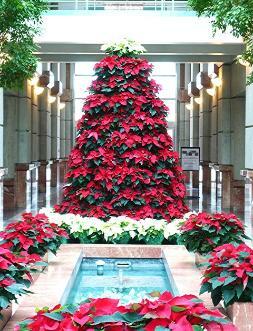 9' Poinsettia Tree with 105 - 6"
powered option. 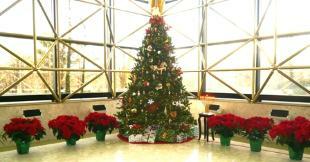 Photo taken 12/23!